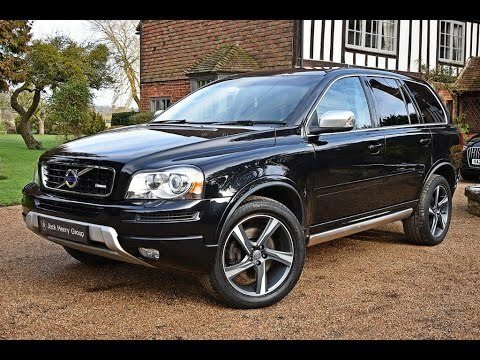 If an image of safety, practicality and prestige top your priorities and you only occasionally plan to use the third-row seat, the 2012 Volvo XC90 deserves to be on your shopping list. Great small sport utility vehicle. It is our first Volvo. Great small SUV. 3rd row, sunroof, great navigation system, all the works. 3rd row lays down to get those larger hauls where they need to go. All wheel drive. Great gas mileage. Would recommend Volvo to anyone for years to come. It is a safe vehicle with AWD that offers me a certain amount of comfort about surviving and accident should I have one. It has a really good safety rating which why I bought it. I like the size of the vehicle. It has a 3rd row that has AC, which is nice for my dogs. It has nice options, like leather seating, sunroof, power windows and doors. Safety. My SUV has lots of things that make it feel extra safe. BLISS alerts me to drivers in my blind spot and backup sensors keep me from bumping into things out of my field of vision. I love my SUV! I live in Georgia where the winters are usually mild. The AWD got me and my two babies safely home after driving seven hours over ice and snow in the 'Snowmageddon' of 2013.